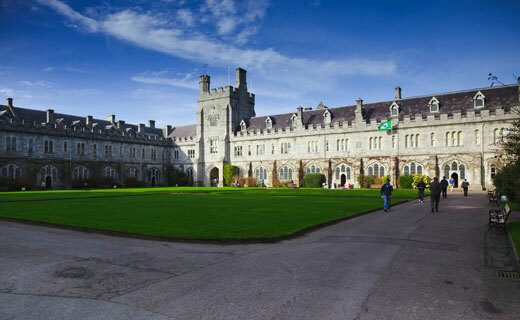 University College Cork will fly the flag as it celebrates its annual Equality Week. The transgender pride flag is one of the most prominent flags used by the LGBT community, consisting of five horizontal stripes of baby blue, light pink, white, light pink and baby blue. It will fly over the Quad in UCC following a ceremony to present the flag to the college. Currently in the midst of finalising its new Gender Identity and Expression Policy, the college hopes that the introduction of this policy will further support transgender and non-binary staff and students. In a press statement, Leane and Ó Suilleabháin explained that the work they’ve done “indicates that trans and non-binary young people often feel excluded in public spaces” and that “flying the trans flag at UCC sends a strong message of recognition and welcome”. On March 7th, UCC’s staff LGBT network, which celebrated its 10th anniversary last October, is hosting an event focusing on how to be a good LGBT ally at home, at work and in everyday life. The line-up for this event includes Bella FitzPatrick from Shout Out and Margie Fennelly from Loving Our Out Kids. Loving Our Out Kids is an organisation which aims to improve the lives of LGBT young people and families. The decision to fly the transgender pride flag follows University College Dublin’s (UCD) announcement that it would re-purpose over 170 bathrooms as gender neutral. Announced as part of a range of sweeping changes, the college also announced that it would introduce transgender changing facilities and bring in a system that allowed students to change their name on official university documents without a gender recognition certificate.